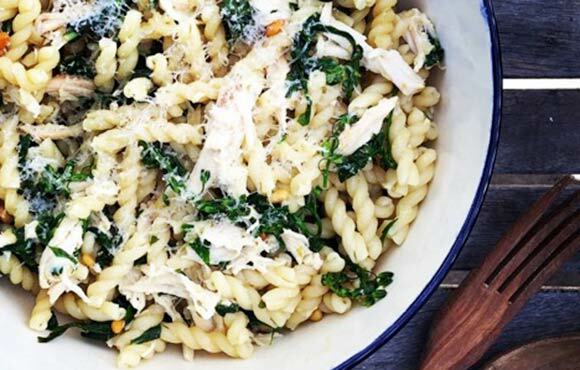 Your training plan may say it's time for your lunchtime five-miler, but your grumbling stomach begs to differ. So how can you get through your workout without keeling over from hunger? Have a snack, of course. "The right snack can prevent premature fatigue on a run and keep blood-sugar levels steady, thwarting cranky moods that might cause you to peter out early," says sports dietitian Jan Dowell, M.S., R.D. She recommends eating up to 150 calories if you're running within 15 to 30 minutes and as much as 300 calories if you have an hour or more to digest. And, yes, it's okay to have a nibble if you're trying to lose weight, just keep it on the lighter side. The options below contain carbohydrates for quick energy, a bit of protein to hold off hunger and some electrolytes to keep your fluid levels balanced. Best of all, these snacks take little or no prep, so you can grab a bite and go. These scoopable snacks are easy to digest and won't cause GI problems, making them safe to eat just before your workout, says Nisevich Bede. Both options also provide a hit of carbohydrates with little or no fiber. A sweet bonus? One pudding cup supplies 10 percent of your daily need for calcium. Stick with varieties with 1.5 g of fat or fewer. 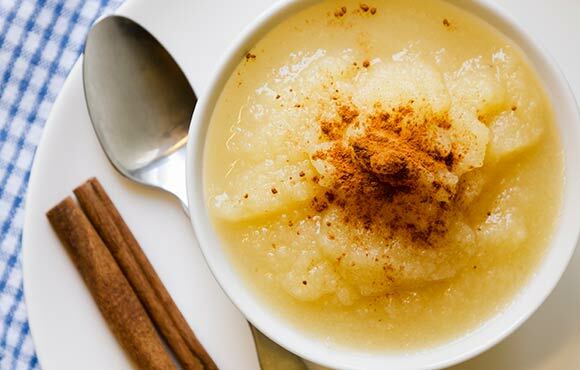 Snack Right Tip: Choose applesauce without added sugar, as it has nearly half the calories of the traditional version. Easy to stash, slow to spoil and hard to bruise, oranges quench your thirst while providing more than 100 percent of your daily need for vitamin C.
"This vitamin helps prevent muscle injuries and replaces collagen in muscle fibers that break down during exercise," says sports dietitian Pamela Nisevich Bede, M.S., R.D., of Swim, Bike, Run, Eat! Sports Nutrition. 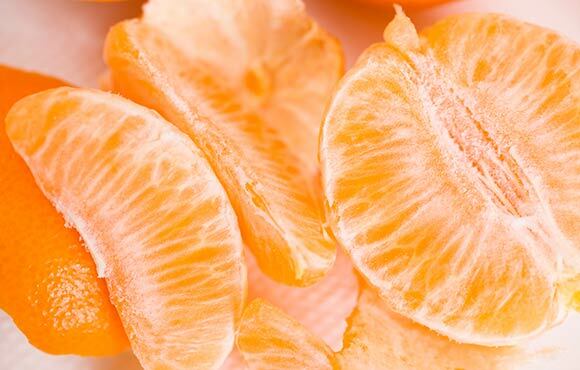 One orange has just 62 calories, enough to quiet a growling stomach before a short run without going overboard. Snack Right Tip: Stick with whole fruit. Orange juice is a very concentrated source of sugar, supplying too many carbs at once and drinking a lot of it may upset your stomach during a run. Forget the Kashi GoLean before lacing up. 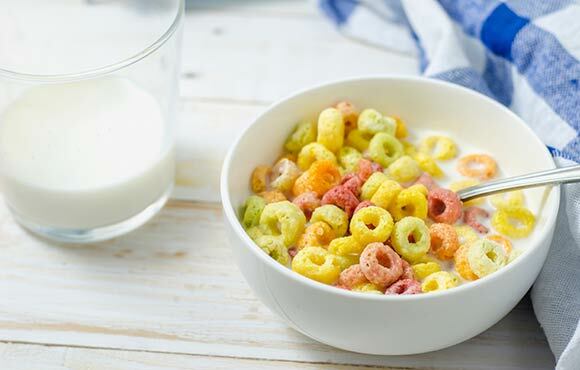 While high-fiber cereals are a healthy bet any other time of day, they'll likely cause stomach trouble during a run. "Muscles can convert simple carbs into energy faster than fiber-rich foods," says sports nutritionist Barbara Lewin, R.D, who works with endurance athletes. Stick to cereals with fewer than two grams of fiber per serving, like Special K or Rice Krispies. Snack Right Tip: Eat it plain or pour it in milk, your choice. Top with half a cup of sliced strawberries or bananas for an extra kick of carbs and vitamins. The natural sugars in these little gems are a concentrated source of quick carbohydrates, says Dowell. They are also packed with potassium, which aids muscle function. 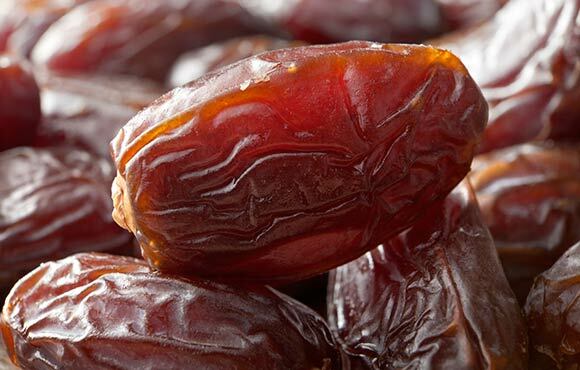 Two dates contain 10 percent of your daily needs, the same as a small banana. Snack Right Tip: Dried fruit can have up to three times the calories of fresh, so stick to a quarter cup serving. Don't like dates? Try dried apricots, mangoes, cherries or cranberries. A quick, drive-through option, cold coffee beverages provide liquid to hydrate you while also cooling you down before a warm workout. The milk provides some protein, while the caffeine can improve your focus during a run. A recent study in the Journal of Applied Physiology also found that caffeine delays muscle fatigue during intense workouts. Snack Right Tip: Frappuccino's can have around 100 calories—or 500. 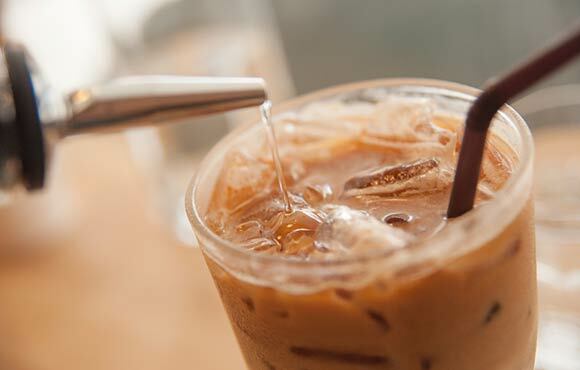 At Starbucks, order a tall (12-oz.) unsweetened coffee Frappuccino with fat-free milk for 160 calories. Skip the whipped cream. This protein-and-carb combination will help keep you satisfied during long runs. 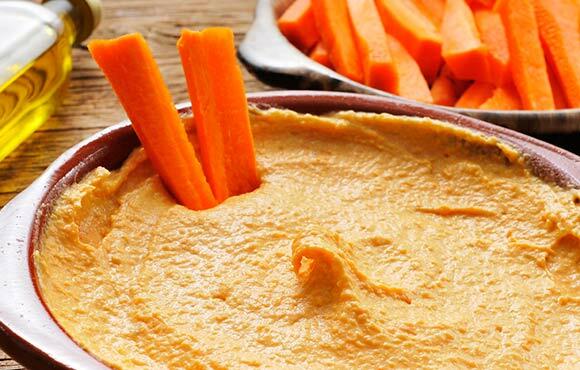 The sodium in hummus will even make you thirsty for a few extra sips of H20. Carrots are rich in beta-carotene, and according to a study review published in 2010 in the journal Nutrients, eating carotenoid-packed fruits and vegetables may help defend skin against sun damage. Good news for midday runners. 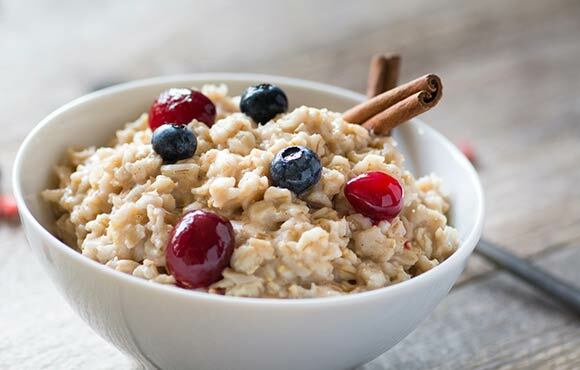 A good source of whole grains, "Oatmeal is great for longer runs because it sticks to your ribs without feeling heavy," Dowell says. The instant variety is convenient, plus one pack supplies 40 percent of your daily need for iron. Snack Right Tip: Plain instant oatmeal is the best choice, but it's also okay to go with sweetened varieties when you're clocking longer runs. The extra sugar will provide quick fuel. High in carbs, sweet spuds provide long-lasting energy for your run, says Lewin. One potato alone has 230 percent of your daily need for vitamin A, which is key for a strong immune system. The skin also contains soluble fiber, which, according to a study in Obesity, can help reduce belly fat when paired with exercise. But if you eat it, give yourself an hour or more to digest before running. 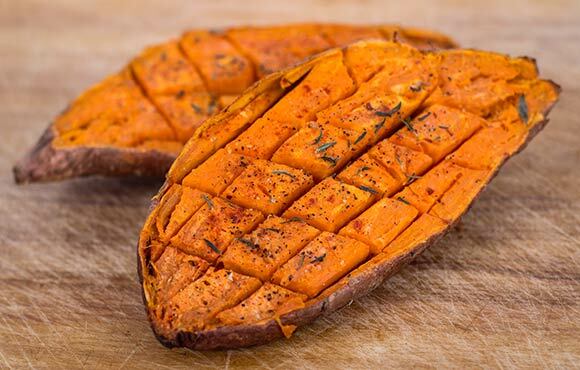 Snack Right Tip: Microwave a small sweet potato at home, wrap it up and take it to work. Reheat in a microwave. "It's also just as tasty cold," Lewin says.